Blogger has an interesting new feature which allows you to post "in the future". In other words, you can write a post like this one and post-date it and it will go up automatically whenever you've set it to. 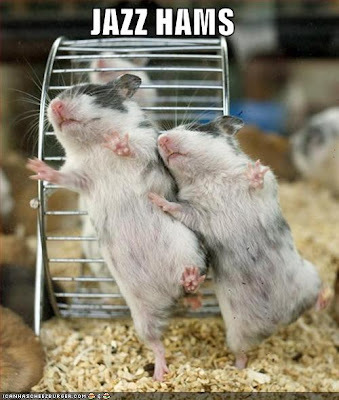 I'm creating this post for my friend Melissa because she will be amused by jazzy critters. Does it make me a formalist that I'm choosing a random time for this post to go up?